Infant Bucket Cap made of 100% brushed twill with jersey lining. Chin strap with velcro closure. 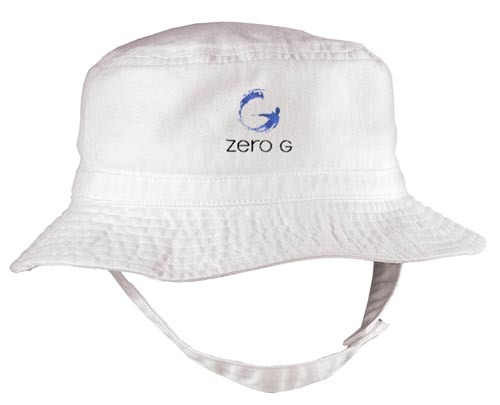 Zero G Logo embroidered on front of cap.